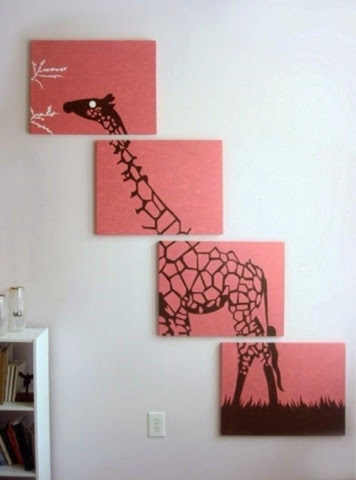 Today I'm going to give you instructions on how to make this piece of art that would look great hanging on any blank wall! My friend just bought a new house and asked me to paint this picture below for her! She found this picture on Pinterest. 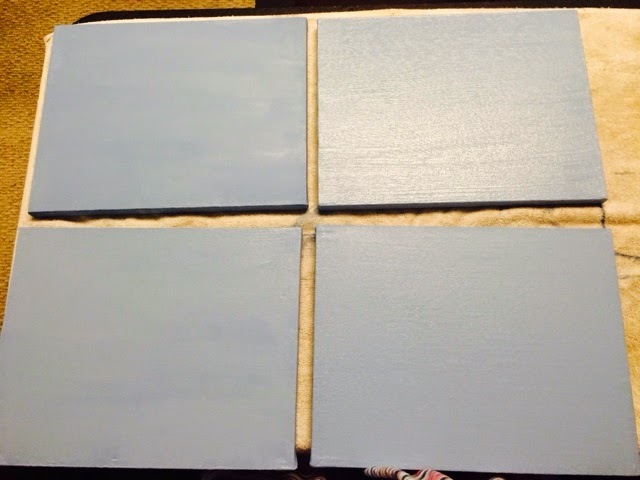 First thing I did was paint the canvases the base color. 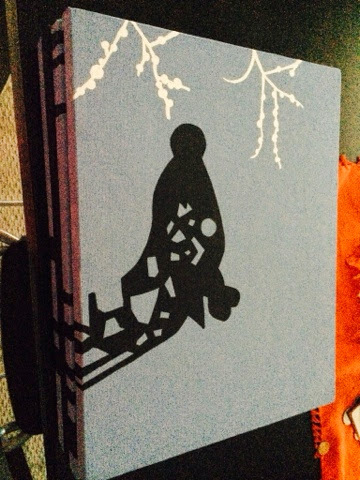 My friend that I was making this for chose blue to match her other items in her living room. I laid an old towel down to prevent making a mess. These are the brushes I used! After I finished all 4 I let them dry over night. 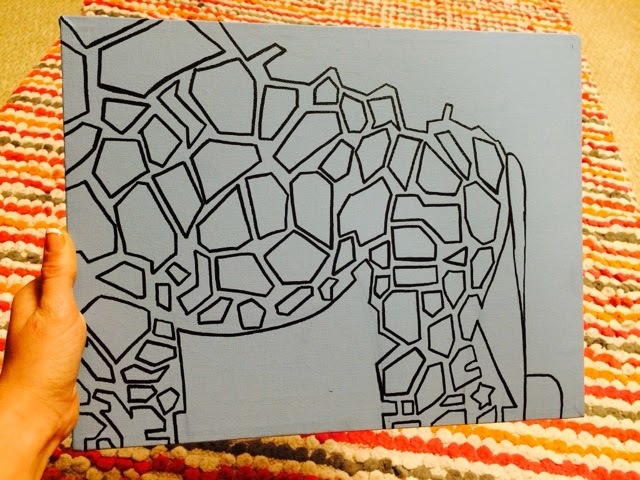 The next day I outlined the body of the giraffe with a pencil very lightly. 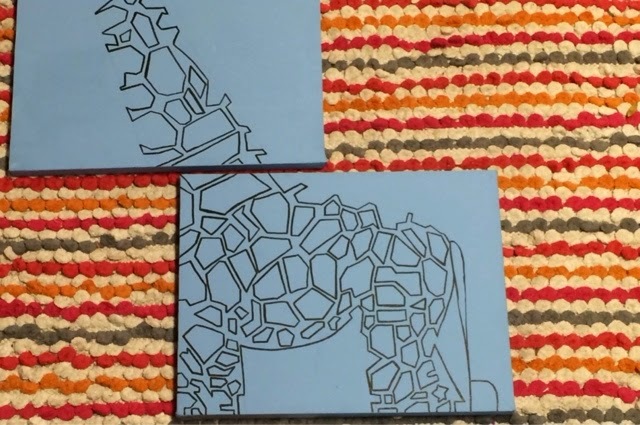 Before getting ready to outline the second piece I lined the two up together in the position they would be if they were hangin on the wall. This helped me to make sure the lines matched up. 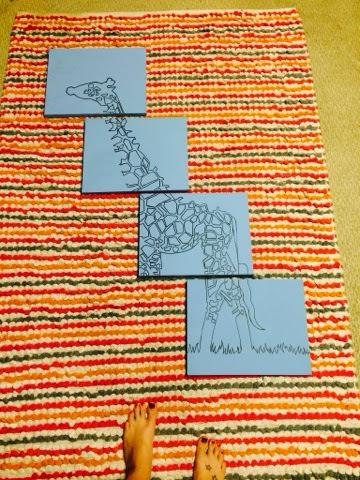 It was easier for me to outline the bottom of the giraffe next. 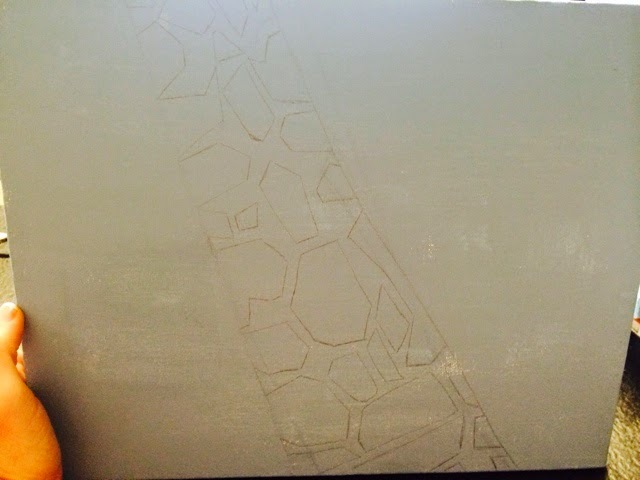 After the bottom was done I lined up the canvases. I made sure they matched up with the finished outline and made adjustments as needed. 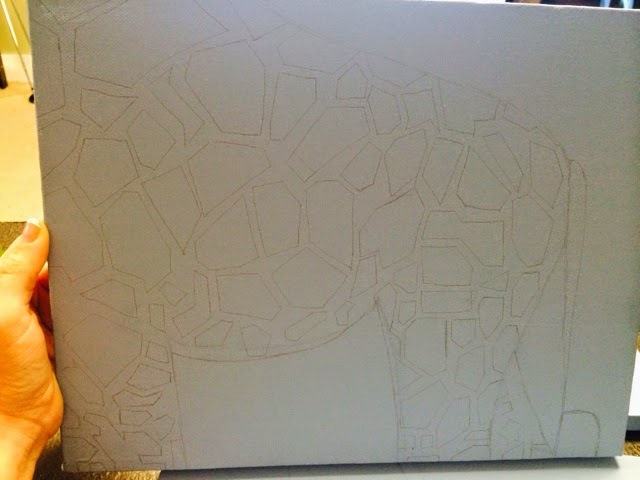 I used the body of the giraffe again to line up with the canvas for the neck and proceeded with that outline in pencil. 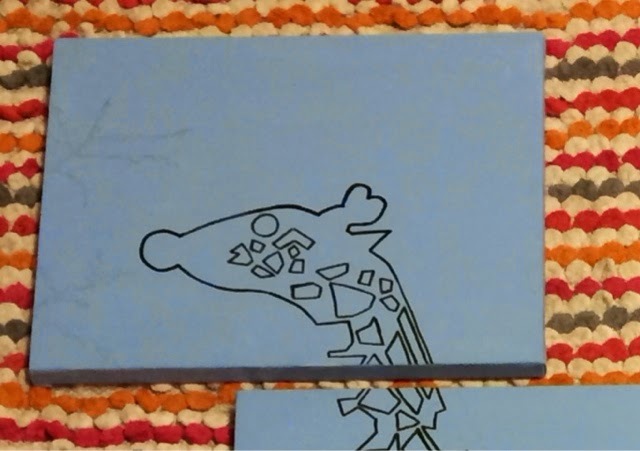 Last to be outlined was the head of the giraffe. I forgot to take a picture of the head outlined in pencil but this is it outlined in black. 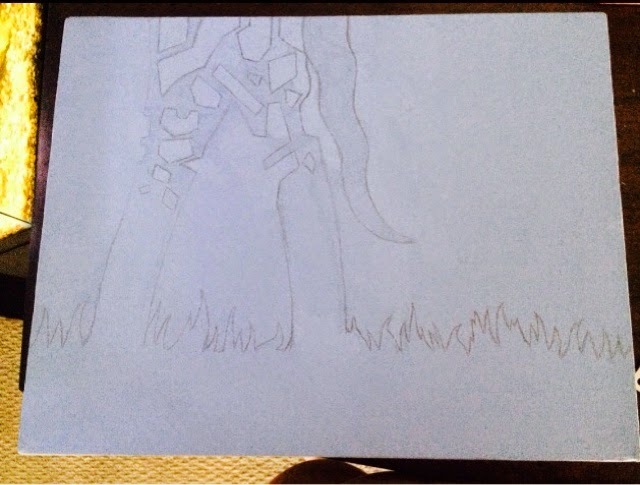 I drew the leaves on and left it in pencil since I was going to paint them white. Next I outlined over the pencil in black before filling it in. I bought a black paint marker at Walmart for $1.00 and it worked perfect. 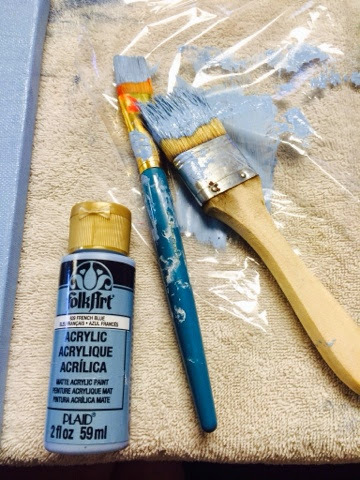 You can use a thin paint brush but it will take much longer. 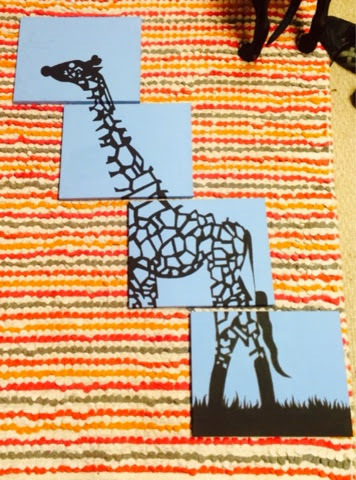 I lined them up in between each outline as they would be hanging on the wall to make sure they were matching up. If yours doesn't match up perfectly don't worry. 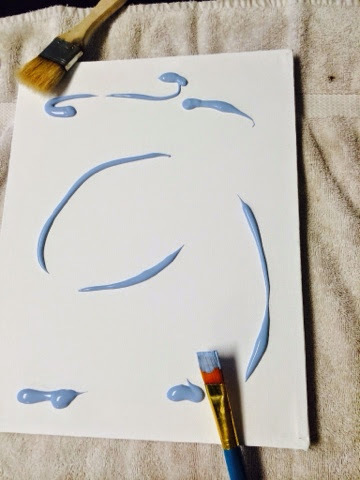 You can just use the black paint to even it out when you are finished. The marker didn't take too long to dry so I filled it in about an hour later. Again I lined them up in between to make sure they matched up with the additional paint on them. This is a close up of the head finished with the white leaves. 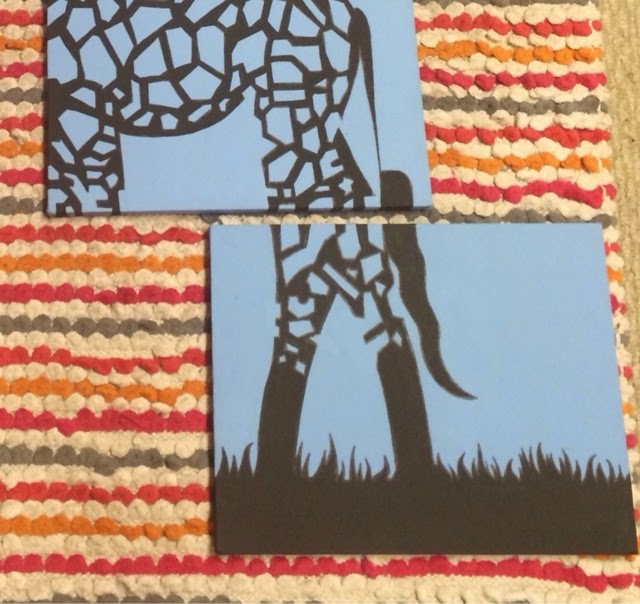 I used a thin brush for them and some of the head since the giraffes spots are smaller. 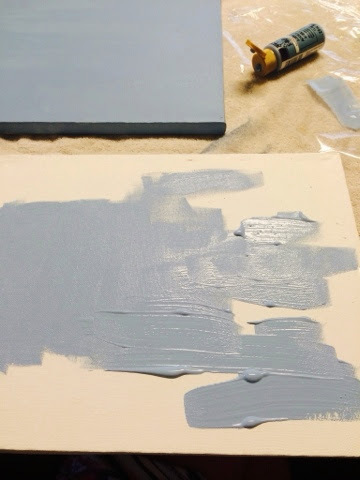 I had to paint two coats of the white to make it thick enough. And then you have your finished product made by you! I love having art in the home that I have made because it is more personal and you can smile everytime you walk by!! Hope you enjoyed this DIY! Leave a comment and let me know if you have any questions or just to let me know what you think!